Xojo is a fully integrated development environment (IDE) – that means your code editor, build tools and debugger are all in Xojo. Learning to code can be challenging enough, you don’t need to also learn how to install and configure a bunch of tools before you even get started. In fact, customers have told us they were able to create their first Xojo app before the other development tools they were testing finished installing! 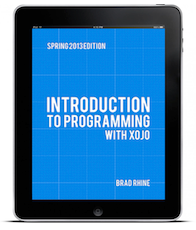 Xojo has a free book, Introduction to Programming with Xojo, and it is a great way to start learning. The book walks you through programming and general concepts in a way that is easy to understand. You can download it in PDF or for iBooks. Plus there’s an iOS Addendum, a Raspberry Pi Book and a Teacher’s Guide. The Xojo programming language is similar to other languages, such as Visual Basic or Java. 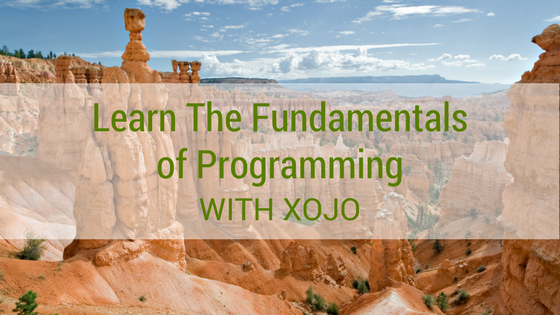 Because Xojo is object-oriented, the skills you learn with Xojo are directly applicable to other languages, including Visual Basic, Java, C# and more. For those that learn visually, attend the Xojo webinars, hosted by Xojo Developer Evangelist Paul Lefebvre. The webinars cover a wide variety of topics, from beginner to advanced. Plus all the webinars are recorded for on-demand viewing anytime. In addition to Xojo’s books, webinars and video library, we’ve got QuickStart Guides, Tutorials and a User Guide totalling over 900 pages. Divided into four parts to help simplify the learning process, the Xojo User Guide is a great resource for learning. Still not sure where to start? 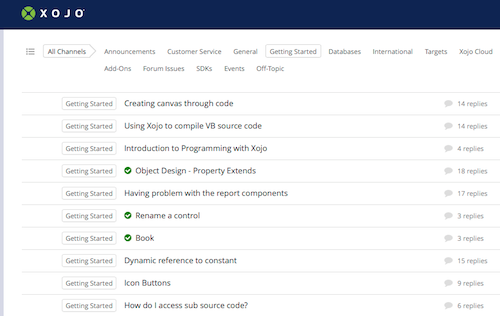 Our How to Get Started with Xojo page can point you in the right direction. Xojo is known for its friendly and approachable user community. The Xojo Forum is vibrant and active, and includes a Getting Started channel with lots of fellow Xojo Developers available to help answer questions along the way – though we recommend you take a moment to search to see if your question has already been answered first! Xojo is free for learning and development. Just create an account, download Xojo and use the resources listed above to start developing your app. You can develop, run, test and debug all for free. When you are ready to compile your app, you can buy the right Xojo license for you.